Munich-based sports tech start-up Fun With Balls (FWB) has announced plans to roll out globally with new hires and partnerships including with the Professional Squash Association, World Squash Federation and Fired Up Technologies (UK). 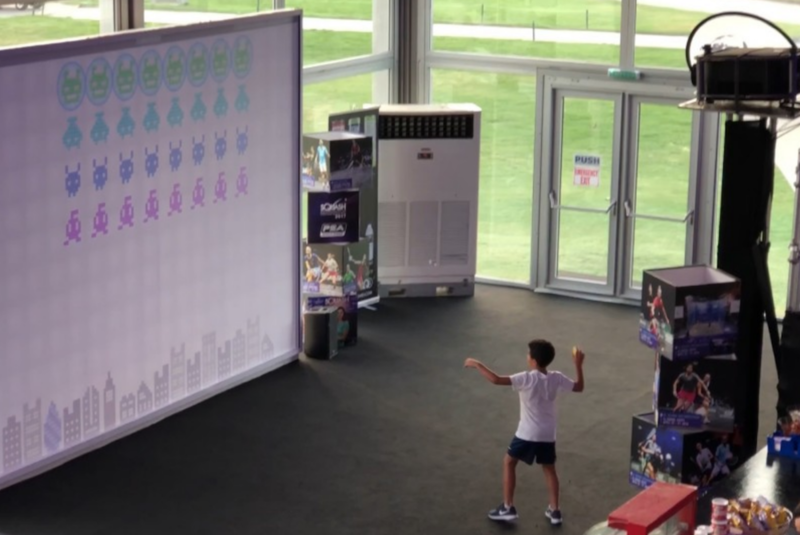 The business, whose concept is based on bringing gamification technology to ball sports, has enjoyed successful showcases at the Youth Olympic Games and PSA World Championships in Chicago. Since it was founded in 2016, the firm has focused its efforts on the squash market, worth an estimated $850m globally. FWB claims that clubs and courts that have installed its interactiveSQUASH technology have seen almost instant ROI in terms of court time booked, new players and revenue earned. The technology, which enables players to record real-time analysis of every shot played, is already installed at centres in the US, UK, Poland, Netherlands, Denmark and New Zealand. Uses include high-performance coaching, hospitality and education. FWB says its tech also offers a platform for fan engagement and sponsorship activation around major events. At the 2019 PSA World Championships event in Chicago, real-time player data was seamlessly blended with social media feeds and sponsor branding in the field of play. FWB also sees an important social role for its technology in helping to tackle the challenge of youth inactivity. The firm is expanding its offering to new sports via a multiBALL concept for schools and leisure operators. At the Youth Olympic Games in Buenos Aires in October 2018, more than 400 kids a day tried out the tech. A beta version for soccer is planned for Q2 2019 with sports including tennis also in the pipeline. Commenting on the firm’s ambitions, FWB Founder Markos Aristides Kern said: “Making people, especially kids, embrace sports more is one of the major challenges of the future. A lot of technology is taking us away from activity and sports and the resulting cost for society is already exceeding trillions per year. “The problem is grabbing and keeping their attention at a young age, helping them progress in skill and strength and making sure they have fun at the same time. “Through the intersection of digital and sports we believe sportification is the key to youth participation in all sports as demonstrated by the huge response we had at the Youth Olympics in Buenos Aires last year. “Our mission is a critical one, to tackle the crisis of inactivity in the developed world and get people from couch to court in a fun and engaging way.